The same day, J.J. Watt, the Houston Texans’ defensive end and another crossover star for his charitable works and marketability, was sidelined for the year with a fracture of the tibial plateau in his leg. Watt is a three-time winner of the league’s defensive player of the year award. Hours after Rodgers’s injury in a loss on Sunday, Tampa Bay Buccaneers quarterback Jameis Winston, the first overall pick of the 2015 N.F.L. draft, left his team’s game after he was tackled by two defenders and fell on his throwing shoulder. Serious, debilitating injuries happen in every sport every year, not just football. But with the possibility that Rodgers is lost for the season, and with Watt and Beckham already shelved, the shape and competitive balance of the 2017 N.F.L. season is beginning to take a different turn. 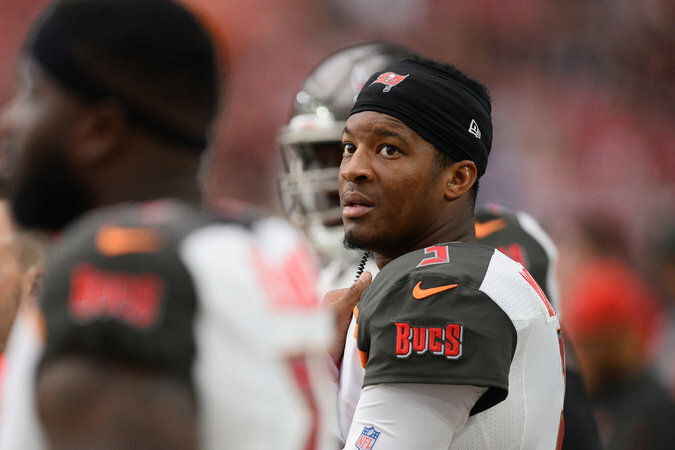 Buccaneers quarterback Jameis Winston watching from the sideline after sustaining a shoulder injury against the Cardinals.